I can see that I am going to love Ian MacPherson. Interesting to see what happens as his memory returns. I really would like to read this book. Itsounds awesome. thanks for hosting Highland Magic today. 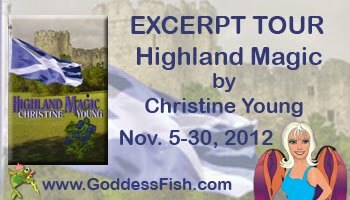 Highland Magic is the second book in a highland trilogy but it stands alone. 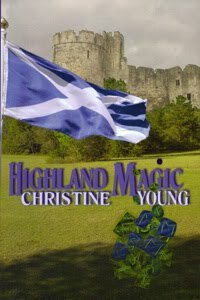 The books are best read in order: Highland Honor, Highland Magic and Highland Song. I think I will love this story. This is a great story! Love Keely and Ian! Hi, Chris! I enjoyed this book. So nice to revisit it through excerpts! Thanks to everyone for the wonderful comments. I hope all of you will enjoy the book. 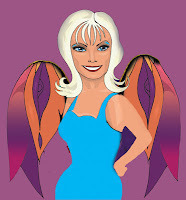 Thank you, Goddess Fish and Christine for the opportunity! It's nice to know the book can stand on its own, even though it is part of a series. Thanks for the excerpt and giveaway opportunity!